When President Trump first pitched the idea of a military parade, defense officials said the event would cost about $12 million. But that initial estimate, which was based on the expense of a 1991 Gulf War military parade, did not account for factors such as inflation and security. More recent (and realistic) estimates showed a much heftier price tag. According to CNBC, Trump’s coveted military parade was projected to cost $92 million—$80 million more than initially expected. After receiving major backlash from the public, the president decided to cancel the event. In true Trump style, he made sure to make his disappointment known in a series of rants posted on Twitter. In early August 1990, Iraqi President Saddam Hussein ordered the invasion and takeover of neighboring Kuwait. The United Nations Security Council demanded Iraq to withdraw by mid-January 1991. 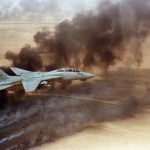 When Iraqi forces refused to leave, the U.S.—together with other allies—launched an air offensive known as Operation Desert Storm. After 42 days of attacks, Iraqi forces finally fled and/or surrendered. The Persian Gulf War began on August 2, 1990, and ended on February 28, 1991. As The Washington Post reports, Trump has been pushing for a military parade ever since he attended France’s Bastille Day celebration in July 2017. 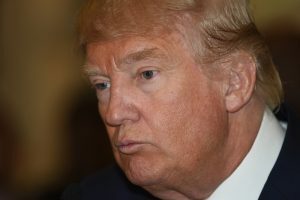 The U.S. president was reportedly enamored by the grandiosity of the event, which included uniformed French troops marching down the street with tanks and armored vehicles at their side.